Many South African rugby fans would have considered last week’s Springbok defeat as the most depressing happening of the past few weeks but it doesn’t come close to the moment that it became apparent that John Mitchell would not be continuing his rugby directorship at the Bulls. 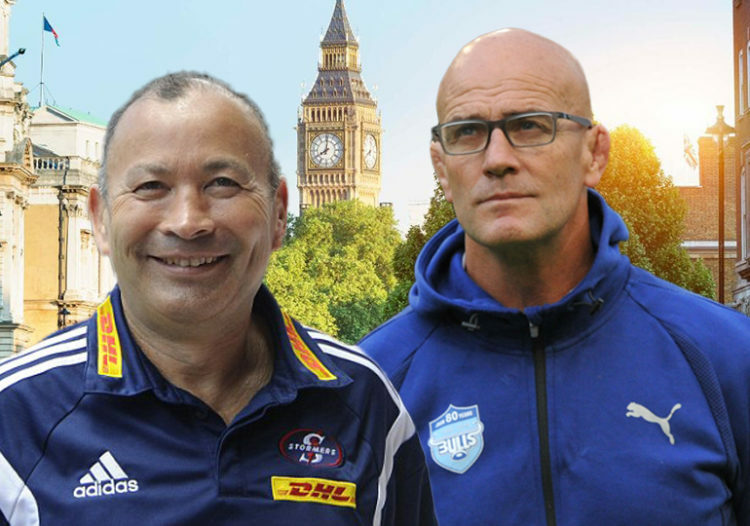 Mitchell, with his experience and technical and strategic abilities, will provide England coach Eddie Jones with far more than just a defence coach. He may well provide Jones with what Jones provided for Jake White when the Springboks won the World Cup in 2007. He’s been at the coal-face, he’s coached at a World Cup. England’s gain is South Africa’s loss at a time where this country is short of good, experienced coaches and also short of the different angle that is brought by a foreign eye. The benefits that the northern hemisphere has derived from New Zealand coaching influence in particular has been well documented but it is nonetheless interesting to look at the list of coaches that will be taking charge of the English clubs as they head into another Premiership season. Pat Lam, Todd Blackadder and Chris Boyd are all from New Zealand, and of course the best young coach to come out of South Africa in recent years, Johan Ackermann, is coaching Gloucester. That is by no means an inclusive list – there is foreign influence in the coaching personnel at almost all the competing clubs, and with the likes of Dave Rennie working at Glasgow Warriors, it is a similar story in PRO14. This leads to the cross-pollination of ideas that Gert Smal recruited Jones to bring to Western Province in 2015. Jones stayed at WP for an even shorter period than Mitchell did at the Bulls and while it would be disingenuous to ignore the money he was offered by the RFU to cut his stay at the foot of “Table Top Mountain” to just a fleeting fortnight, it would also be wrong to pretend that there aren’t factors in the South African game that make it unattractive for good foreign coaches to work here. We’re not just talking currency. Let’s use Joe Schmidt as an example of a foreigner who has achieved success that he’d be unlikely to replicate in South Africa. Under the Kiwi, Ireland have risen to become World Cup contenders because he was allowed to recruit top assistants and given license to introduce a quasi-Kiwi system that puts the Ireland team first. Forget the politics, the chief challenge for a foreign coach who’d think about coaching in South Africa might be the contracting system that is in place at the top unions. The move by Bok coach Rassie Erasmus to drive a change to the system, with each union being limited to 45 professional players, is long overdue. I can sense that many are asking why the fuss about Mitchell. Those would be people who look at only bald statistics and don’t pay much attention to context, changes to playing style and improvements to individual skills set and confidence. They would argue that Mitchell’s record in his first and now only Super Rugby season with the Bulls did not achieve superior results to his immediate predecessor. The context of this season for the Bulls was that they were starting off a zero base, with Mitchell having to start from scratch in his attempt to marry an attacking template into the Bulls’ traditional playing style. His predecessors had spoken a good game. They didn’t have a clue how to implement it. When it comes to attacking shape and ability to turn defence into attack, the Bulls made huge strides and if there was one local coach who could get away with talking about processes and not being results driven at this point, it was Mitchell. He wasn’t helped by the injury list that mounted in a union that has focussed its recruitment on school leavers rather than on qualified Super Rugby ability and which pays the food bill for many players that will seldom, if ever, get to play for the Bulls. That said, the season didn’t turn out that differently for Mitchell to what he was anticipating. He knew what he was working with. He also knew that the impact of the conditioning program that was necessary for the Bulls to adapt to a quicker paced game and sustain it over a whole Super Rugby season would take time to take effect. He had an incremental build in mind across many levels. Why is Mitchell leaving? That will probably become clearer in time, sufficeth it so say here that this isn’t a repeat of the perceived Mitchell sequence of events that led to acrimonious departures from the Lions and the Western Force – the players thrived on him and the Bulls wanted him to stay. They wouldn’t have offered him a contract extension otherwise. He’d also made his decision not to sign that extension, that would have committed him to the Bulls beyond 2019, and communicated it to them long before the England offer came along. His departure is a big loss to South African rugby. Gavin ignores the ‘elephant in the room’ here. Politically driven ‘transformation’ policies are unacceptable at any level, in any country, under any circumstances. World rugby supposedly do not condone it as does the UN. Mitchell took the Bulls job with good intent I assume but one could also surmise that once he had fully experienced the effects of ”rugby by numbers” his enthusiasm may have taken a tumble. The England offer must have come out of the blue and not long after he too took the first stage out of Dodge. Can’t blame him. I’m not saying he’s a bad coach or didn’t try to lift the Bulls out of their malaise but reality bit big time. The difficulty of finding players conversant with modern rugby with it’s associated skills after years of ‘conservative’ risk free rugby a trademark of the Bulls, may also have contributed to his bail out. The reality is that no self respecting overseas coach who has a reputation to protect would willingly buy into a system where merit is not the deciding factor. All these other countries that ‘import’ NZ coaches do not even think about that kind of a restriction. So in truth we won’t be getting top dogs from around the world knocking on our doors anytime soon. If one looks at our current crop of SR coaches and their poor records these past few years ( excluding the Lions of course, lol ) are any of them due to get the chop before next year’s SR ?? Not to my knowledge, so in all likelihood it will be more of the same and that is a very depressing thought. Help ! Glad you talk about player resources here. With Pierre Schoeman, Paul Willemse, Nico Janse V Rensburg, Gerrit Janse V Velze, Jan Serfontein, Jacques du Plessis, Grant Hattingh, Deon Stegmann, Arno Botha, Lappies Labuschagne, Marcel vd Merwe, Francois Hougaard, Morne Steyn, Flip vd Merwe, Jono Ross, Piet van Zyl. You lose all your first and second tier players you are going to have a problem. No continuity or development. No transition from the seniors passed down to the juniors. Its far deeper than a choice of game plan. You spoil a very relevant comment by your fixation on the Lions, like a stoepkakkertjie running around yapping at everything that moves and irritating everyone. Your comments may be taken more seriously if they are focused on the question instead of forever trying to drag your Lions team into everything, -this fixation on provincialism has always been one of the downfalls of SA rugby. Poor SweetAz. Funnily enough your description of me seems more appropriate to you. You continually yap at my posts and scrutinize them looking for things to criticize. What’s that all about ? You may have noticed that I included a ‘lol’ knowing that a poster like you would latch on to it. It was meant to be teasing or a touch of banter. Secondly what’s not true about my assertion ? Haven’t the Lions been streets ahead of any other Franchise these past three years ? It would be insulting to them if I generalized and didn’t exclude them from the other coaches. That’s true not banter, it seems I need to spell it out to you. Methinks you should think before hitting the keyboard, stop being personal and lighten up a bit, this is just one of my many hobbies. Cheers. About time. Does this include the small unions? I guess it will with an obvious drop in salary in unions below those in super rugby and pro 14. Many a surplus player to be without a contract soon. The assumption by many is that they will all go abroad. Not if you look at the budget cuts being made in the premiership, with an emphasis on teams recruiting from their own academies. This should result in those hordes of ‘spare’ players recruited as explained above being recruited to smaller teams that need them, and will cause those players to actually play. Like the npc in nz. All good imo. Of course many overpaid and underworked contracts will now go. Watch the anti transformation sector go mental on this one as squads will be selected with transformation principles considered. I agree it is going to impact more on the surplus ‘white’ players and yes because ‘legislated transformation’ is an abomination the anti transformation boys should go mental. Just remember what Mandela said about never going back to the practices of the past in a new SA. The ANC can’t have it both ways. Cheers. Gavin I think you are reading too much into his reason for taking the England job. Two things would have influenced his decision. The opportunity to coach at international level again and money. The impression I get is Mitchell chases the money and a stint in the England setup will probably set him up for life. Who can blame him. Jones knows what he is doing and there is no way on earth he would have taken Mitchell on if he did not think Mitch is the best in the business. So yep a big loss! The question is what do the Bulls do now? I’ve had quite a few chats with Mitchell regarding coaching and the Bulls. He made it very clear that unless the Bulls contracted some top players (this was also reported in the media) into the SR team there was little likelihood of his continued participation. The England opportunity came out of the blue, Mitch was possibly awaiting a good local opportunity as he very much likes it here. And you’re very right – Mitch is among the best in the business, he picked up the US Eagles playing intensity to 110% and subsequently the Canadians (very rough and tough team) have since not beaten the Eagles! The modern game is about high level intensity, you got to train high level to play high level and it takes time to drill the skills….. the Bulls are really not a bad team just lack credible depth. What do they do now? I think somebody should come up with an answer for them ‘cos I think they’re somewhat stumped! If contracting top players was not in his original contract then he shouldn’t have taken the job in the first place. It’s like A CEO taking a job and then blaming the product for his non performance. Mitchell is a rolling stone gathering no moss over many years and averages 18 months a stint on his CV. Also quite a few of his contracts have been terminated acrimoniously which should be a red light to any future employers. Eddie may have a problem looming here as if he hasn’t got enough to worry about. Cheers. Gavin how many foreign head coaches has South African franchises had in the past? Mitchell, Jones & Plumtree. Plumtree was forced out by John Smit to make way for Brendan Venter in 2013, Eddie Jones was offered the England job by the richest union in the world and Mitchell the same, how many coaches would say no to working with England and getting paid stupid money to do so! My point is that even if the bulls were one of the most wealthy unions in the world and Mitchell had got what he wanted he still would have left the Bulls to work with England, no union would be able to convince him to stay regardless the financial issues that the Bulls are facing! Oh let’s not get beyond our selves, we seem to have some sort of inferiority complex going on! Mitchell is more a consultant type rather than a full time appointment. He has had loads of jobs, but few that have lasted for any length of time and none that have resulted in silverware! The exception is probably his tenure at he Lions, where he lasted a few seasons, but we need to remember he only managed, as I recall 6 wins from 32 starts, not really stats to boast about! His achievements at the Bulls and Eagles not really much better, nor at the Force for that matter, so what is it that we are all missing……a good short term consultant, yes, perhaps, but a long term prospect, not really thus far! Ironically he joins England as defence coach, yet the Bulls points dif was one of the worst in the SR competition? Perhaps we need a Professional Coaching Academy? Something like a university course that you need to have certain pre-requisites for, i.e. at least an IQ test or decent marks at school. Incorporated in this course would be a number of broad-based disciplines like organization, man management, sports psychology, physiology, etc etc. With Core Subjects like Rugby, Swimming, Cricket etc and like the medical profession, specializations where aptitude and interest are demonstrated i.e. defence, attack, set phases, etc. At present, our coaches are school teachers and ex-players. —Some with not much between the ears, for the most part, some of them simply look overwhelmed,—looking at YOU Fleckie. Our Germanic background has always allowed us to be meticulous and organized, its why structures like Sasol, Eskom, Iscor, SA Rail, SABC etc were in their time some of the best organizations of their kind in the world (please note the use of past tense). If we apply that same rigour to developing coaches there is no reason why we can’t surpass New Zealand. It’s not rocket science or magic, –its simply having good leadership, being organized, resourced and applying ourselves. Unfortunately, we have a herd of elephants in the room. A professional coaching academy? You mean like what football / soccer employs the world over? Might not be a bad idea! In order to coach a professional football team in most parts of the world, one needs to have attained his / her coaching licences. These license holders are usually ex footballers who want to go into coaching once they retire as players. Not that much different to ex rugby players doing the same. Victor Matfield comes to mind as one of these retired players. Ryan Giggs, the former Manchester United and Wales international – who played over 900 league and cup games for MU over a 20-22 year career – is a classic example of a player who began attending the coaching licence courses before he actually stopped playing competitively. I believe Jake White coached at Jeppe High School in his early years; eventually graduating to coach the Boks. Don’t knock coaches because they coach at lower levels like HS, etc. You must begin somewhere! I think SA rugby would benefit from such an organization. Look at European football with their UEFA coaching structure (do some research); it is quite comprehensive and certainly helps former players attain the different skills they need to transition from player to coach. I would like to hear your comments on this suggestion?! We finally seem to agree on something. I loved the ‘Germanic’ touch by the way. My German lineage is one I’m proud of and could explain my pedantic streak which you seem to be uncomfortable with, lol ( This is banter ). As for your post, spot on. A coaching academy is a must especially if we can lure sufficient world class individuals to head it up. Having a dom krag coach training the newbies would be a disaster. First to be trained would be Fleckie ( again I agree with you ) and RdPreez but that may take a few more years based on their slow progress over these past few years. Cheers. The BSC Sports Science degree at Stellies, is second to none. Students have to specialise in a sport and have to also put in game time. Although they are taught coaching, most go into High Performance, Sports science (GPS), Biocinetic etc, but few thus far seem to have found their way into actual Coaching! Of course there is the expected drain……..our Cumlade Laude of 2015 works for the Crusaders! Yeah, but like a lot of degrees these days they don’t focus enough on whats needed in the actual workforce so perhaps the degree needs to be modified in some way to actually produce coaches,—or coaching requirements at higher levels must be required to have that degree. I don’t know what most of our super rugby coaches are qualified at but I suspect nothing like a Sports Science degree would be found amongst them. Some great points made in these two comments. Mitchell is a journeyman and has never finished a job which he started. As soon as a seemingly better gig comes up he jumps ship. I don’t blame him for wanting to coach at international level again with a World Cup around the corner though. Which coach wouldn’t? However, I question his loyalty for lack of a better word to his current employers. This could well be the last time he lands a job coaching in SA. The Sharks, Stormers, Lions and the Bulls may consider him unemployable. Who would want to invest in a coach who has such a track record.